Adversities and setbacks can sometimes act as a catalyst for growth. 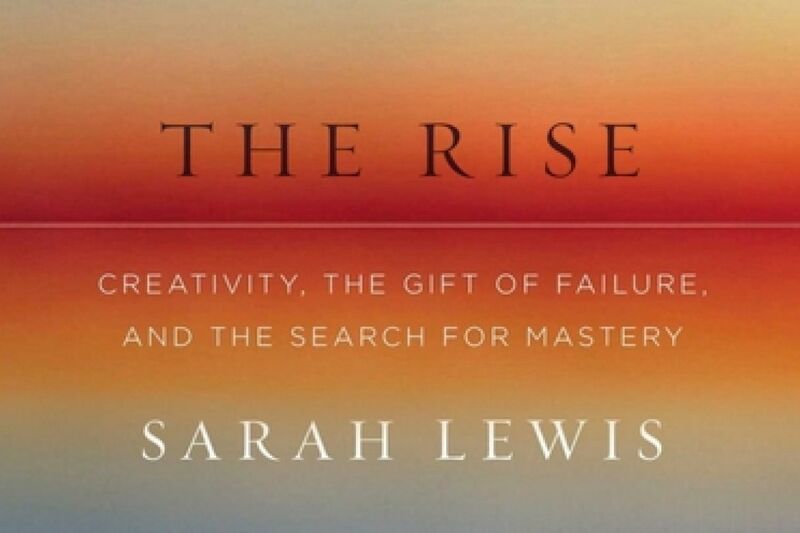 Sarah Lewis' book "The Rise" explores their value in fostering creativity and mastery, as they create a dent in our usual routines and propel us to re-evaluate our strengths and imagine unexpected solutions. To overcome more extreme hardships we may also benefit from something Finns have known for centuries as 'sisu'. 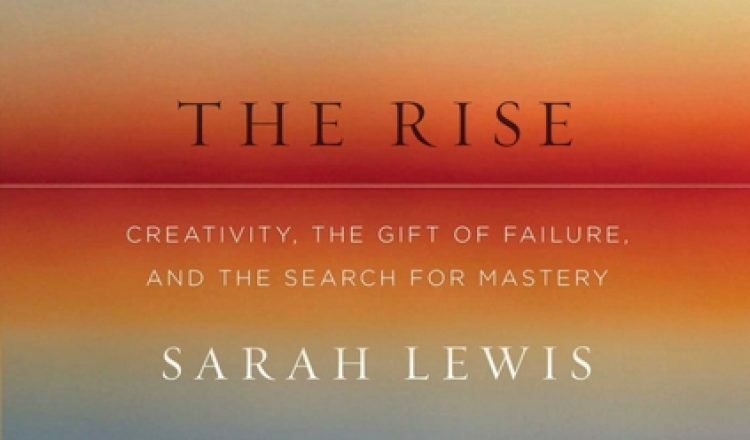 Dr. Sarah Lewis' stellar book 'The Rise: Creativity, the Gift of Failure, and the Search for Mastery' was one my favorite reads in 2014. Lewis is an author, curator, TED speaker, historian and Du Bois Fellow at Harvard University. Her beautifully written book discusses the (somewhat lost) art of mastery, i.e. the ability to not only walk but to dance on proverbial thin ice. What seems to matter in mastery is not (only) what we do and how we do it, but how we speak about what we are doing. "The soul never thinks without an image", Aristotle declared many centuries ago. To a great extent 'words make our worlds', because language is the foundation of how we communicate. It affects our thinking and the way we view the world and ourselves. It gives birth to constructs which become our mental imagery and help us describe and define our lives and the world we live in. Language can even be said to define the boundaries of our world since we cannot express what we do not have the words for (Wittgenstein, 1922). "When we don’t have a word for an inherently fleeting idea, we speak about it differently, if at all. There are all sorts of generative circumstances — flops, folds, wipeouts, and hiccups — yet the dynamism it inspires is internal, personal, and often invisible." It is a cliché to simply say that we learn the most from failure. It is also not exactly true. Transformation comes from how we choose to speak about our failure in the context of story, whether self-stated or aloud. Only through having the words and constructs to describe the world and the phenomena around us can we strive to interpret it, and therefore, to understand more and to be more. In her book Lewis also addresses the Finnish construct of sisu (pp. 174-175), which is an up and coming construct within psychological discourse relating to resilience and mental toughness. Sisu is an age-old Finnish construct relating to mental toughness (in this context it is visited briefly by Dr. Scott Barry Kaufman in the Scientific American), courage and perseverance. It denotes extraordinary determination in the face of adversity and taking action against non-existent odds. In its native Finland sisu is perceived as an entire way of life, and a philosophy that has impacted and inspired people over generations. So far it has been a rather well-kept secret of Finns, but this is about to change as the construct is has become the focus of research and is getting broader global attention. (You can find more about sisu in this TEDx talk, here and here). One of my main prerogatives of researching sisu and introducing it into mainstream discussion within academic research and the popular culture is to expand our language and thinking, and to thus transform the ways in which we perceive our opportunities. I think at the deepest core of Lewis' book is a study of how we may rise to our best potential not in spite of failures, but because of them. This idea of viewing adversities as opportunities (and seeing them as a very natural part of the human experience) is deeply inherent to sisu and the action mindset, which seems to be related to sisu. In evolution, progress does not stem from the state of balance but comes when the organism is challenged and pressed to find a new way. Stress and adversity are conditions which force us into greater consumption of energy and therefore tax our finite resources. Energy provides the means to ensure that biological beings continue to survive. The foundational principle of sustaining and ensuring the continuity of life is based on conservation of energy and efficient use of scarce resources. All organisms, including humans, are programmed to seek out a comfortable state, and to remain in preservation mode until the balance is disturbed and we are forced to seek alternative means and response models. Staying in this place of equilibrium saves valuable energy to sustain life, but also hinders the organism from the benefits which delving deeply into its resources can bring. All of the major developments of modern civilization have depended on a person or group of people’s ability to prospect possible futures, and to be bold enough to go where no one has gone before. It is about taking a leap of faith, and trusting that when the moment comes we are able keep up the practice, stand behind our vision and push through the obstacles. I am greatly interested in the concept of near-win (which is also the topic of Lewis' TED talk), where the close proximity of a greatly desired goal (and in fact, missing that goal) works as a propeller for the future fine tuning of our artistry and effort. The closer we are to our goal, the greater the frustration of missing the target. This way, adversities and hardships can be seen akin to a wind that we have to fight off but which can also carry us. Research shows this rather clearly, for example, in the case of athletes who end up with a silver medal as opposed to getting bronze. Indeed, in Finland there is a saying which goes something like this: "A bronze medal is a win but a silver is always a loss". "Compared with what we ought to be, we are only half awake. Our fires are damped, our drafts are checked. We are making use of only a small part of our possible mental and physical resources. … ‘Second wind’ is a reality in the mental as in the physical realm and it can be found and used when needed … A third and a fourth 'wind' may supervene. Mental activity shows the phenomenon as well as physical, and in exceptional cases we may find, beyond the very extremity of fatigue-distress, amounts of ease and power that we never dreamed ourselves to own, sources of strength habitually not taxed at all, because habitually we never push through the obstruction, never pass those early critical points." Currently I'm working on the construct validation of sisu. In addition to understanding how sisu correlates with some of the more 'usual suspects' such as resilience, grit, hope, autonomy and optimism, I'm looking forward to examining sisu within the contexts of creativity (as in problem solving), imagination (the ability to think new, potential futures amid an impossible situation) and self-compassion (in that to be truly tough we must also value our imperfection or weakness). Therefore, I can see this work aligning in some ways with the examination of creativity by Dr. Scott Barry Kaufman, as well as the gift of failure and mastery, which Lewis has presented so brilliantly in her book. Practical applications of such research could expand all the way from entrepreneurship and organizational behavior to empowering trauma survivors and people who are facing extreme adversities in their lives. Not only is Sarah Lewis' personal story a delightful inspiration for many future trailblazers and especially women in science, but her work also sheds some much needed light into our understanding of the determinants of mastery, achievement, success and even thriving. I think grasping some of the main tenets of this masterful piece comes down to understanding the dichotomy of success vs. mastery. In my applied positive psychologist mind, the relationship between the two reminds me of the relationship between happiness and meaning (for more, see here and here). Happiness is like success in that it is about the momentary and often fleeting experience of subjective well-being or an individual's sense of achievement. However, mastery and meaning act as the strong, sustainable building blocks of our life's narrative and therefore contribute to what is a more deep-seated understanding of our entire purpose. Meaning and mastery have a more solid presence and are future-oriented. Happiness and success, on the other hand, are like those small but crucial fueling stations along the course of an ultra-long distance run. While sucess is about hitting the bull's eye, mastery means to be able to do it again and a agian. They key therefore, is in pushing beyond mere success and embracing numerous failures as we progress toward excellency in what we are doing. "If you want to reach your potential and live meaningfully and make a contribution to the world, then find something you care about, surround yourself with supportive people who will give you honest feedback, and practice, practice, practice through all the daily, small deaths." Lewis' book invites us to take a closer look into our ambitions and daily routines, and see where we stand in regard to our understanding of the true meaning of failure, as well our actions in relation to success vs. mastery. The book is highly recommended for anyone interested in deepening their understanding of how to transform their barriers into frontiers. You were born for greatness. Now choose your artistry and get to work! 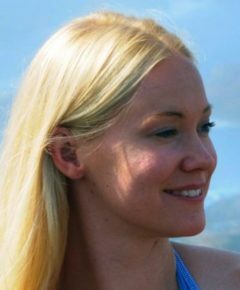 You can find out more about sisu and action mindset at www.emilialahti.com, and join the conversation at our vibrant Sisu community. © 2014 Emilia Lahti, All Rights Reserved. How Do You Create An Elite Athlete?